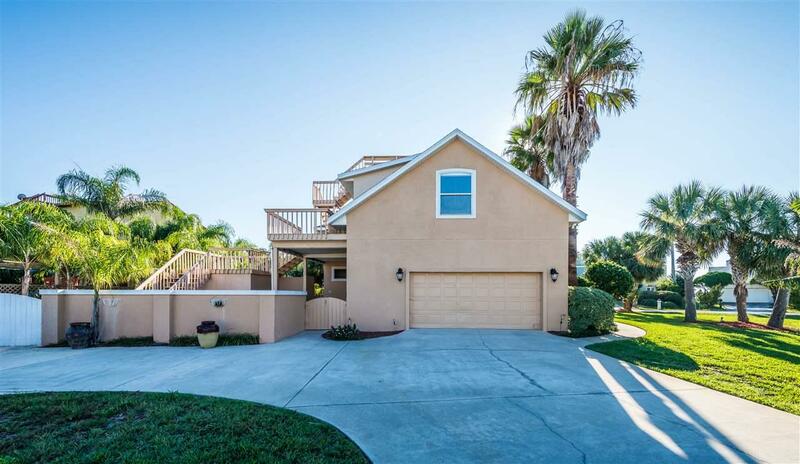 Builder's Custom, concrete block home with panoramic views of the Ocean and Intracoastal. Walk to the beach, watch the 4th of July fireworks over the bay from the crows' nest deck. 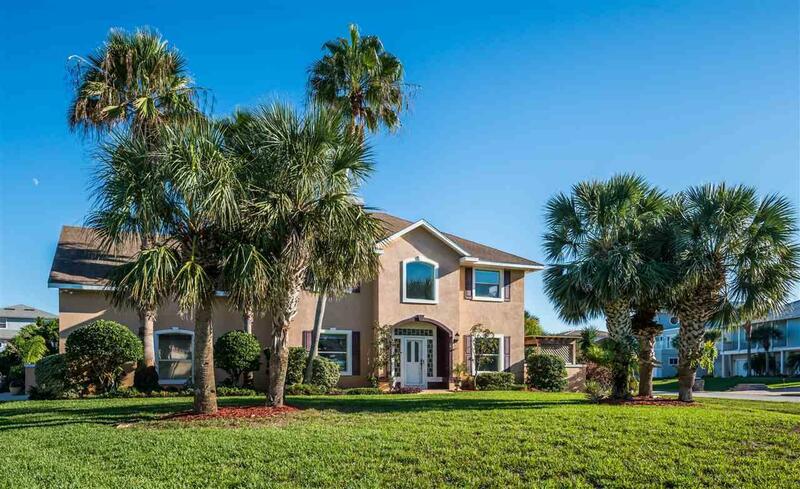 This large property is a rare find in the heart of Vilano Beach at Porpoise Point. 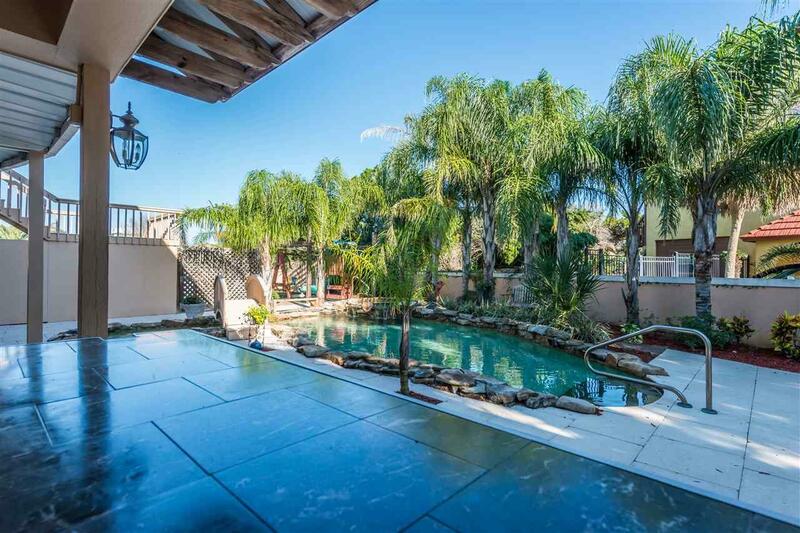 A fabulous backyard oasis including a custom lagoon style heated pool and spa; outdoor kitchen, large bar, gazebo, firepit area, and childrens' play area.This 4+bedroom, 4 bath, 2 story home with large 2.5 car garage, circular drive and parking for 8 is awaiting the next owners' parties, gatherings, and celebrations. Come and see Florida Living at its best. House is being sold as -is.